By Sietske Fransen, with Saskia Klerk. Two months ago Saskia Klerk discussed a recipe for the breaking of a bladder stone. It seems that the author of manuscript BPL3603 included this recipe into his collection because of the wonderful curative properties it proved to possess according to the eyewitness accounts documented in the text. Franciscus Mercurius van Helmont styled himself as a ‘wandering hermit’ and travelled through Europe ever since his father’s death on the penultimate day of the year in 1644. 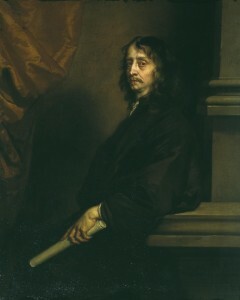 He spent time in the Northern Netherlands and lived for many years in England as well as in Germany. He must have been a charismatic figure and most certainly a beloved guest of many European noble households. He was notorious for not writing down his own thoughts and ideas. It is therefore not surprising to find a note saying that a recipe has been transmitted by oral communication; it actually fits the picture of Franciscus Mercurius very well. Although Franciscus Mercurius never went to university, he seems to have been able to sell himself as a physician. Most likely this was a result of his father’s fame. Franciscus Mercurius was for example the personal physician of Anne Conway for a decade until her death in 1679, trying (but failing) to cure her from her terrible headaches. Most of these ten years he lived as part of her household in Warwickshire. 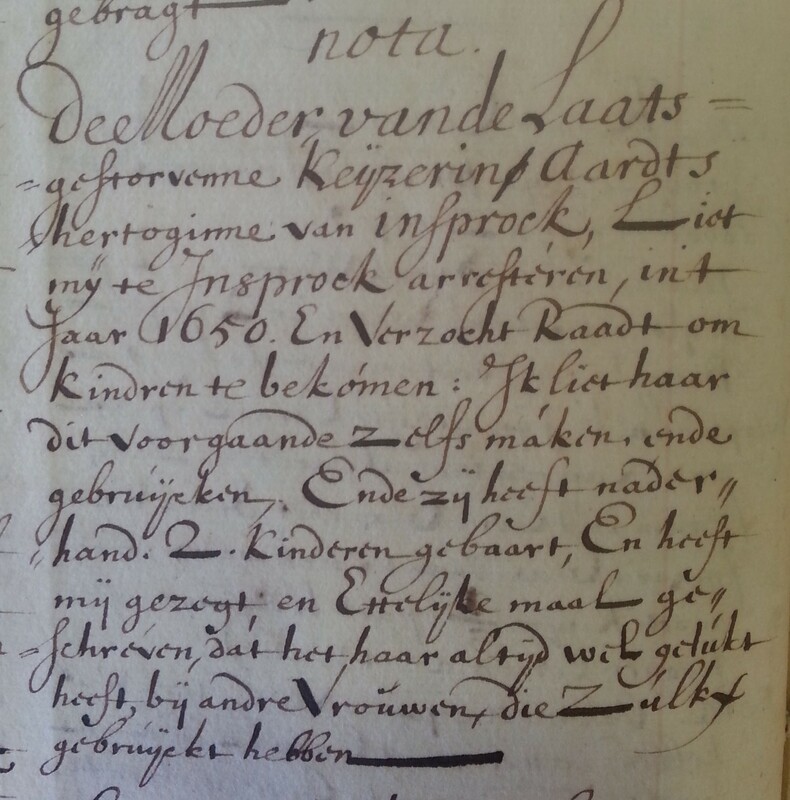 However, during the same period, he also travelled regularly to the continent, and must have been able to communicate this ‘excellent recipe’ to the Dutch context, potentially directly to the author of the manuscript. Let’s turn to the recipe to see what kind of treatments Franciscus Mercurius was sharing. The basic ingredient for the recipe is red coral. This should be ground and dissolved in alcohol (‘sterk water’), mixed with a solution of tartar in alcohol, and subsequently slowly boiled down to dry powder. The dry powder is mixed with liquid saltpetre and dry cooked in an oven. Once the dry mixture is cooled down it needs to be stored in a humid cellar for about 5 to 6 days. After grinding the powder once more, it should be put in a glass bottle with half a pint of good brandy. The red coloured brandy should then be poured into another glass bottle’ while leaving the red powder at the bottom of the first bottle; this procedure should be repeated until the brandy does not colour red any more. A glass of beer or wine with about 50 drops of this brandy should be drunk twice a day as the first drink at the table in the afternoon and the evening. 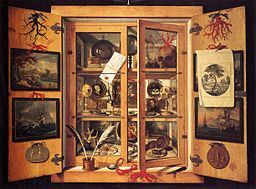 Cabinet of Curiosities, 1690s, by Domenico Remps, Museo dell’Opificio delle Pietro Dure, Florence. Source: WikiCommons. Red coral is depicted at the top of the right door. The compiler of the manuscript added a note, presumably referring to Franciscus Mercurius, saying that he has helped with this recipe many old and seemingly infertile women, as well as those who had miscarried previously, to deliver healthy children. However, with which authority is Franciscus Mercurius speaking? 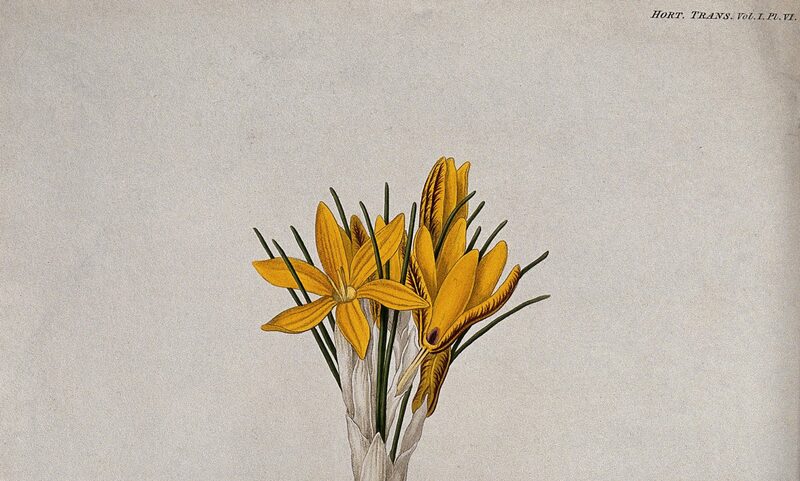 His father mentions a medicine ‘Arcanum corallinum’, in both his Dutch and Latin medical works as a very effective drug against all sorts of fevers. However, he does not give the recipe or method of preparation. I would not be surprised if Franciscus Mercurius had become popular as a doctor by disclosing the recipes of medicines mentioned in his father’s (hugely popular) medical publications. Whether these recipes were originally his father’s is hard to prove. 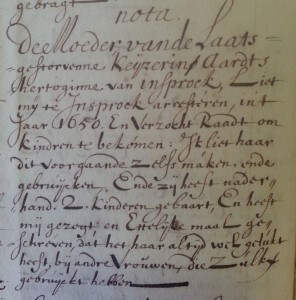 University Library Leiden, MS BPL3603, p. 118 (selection): the anecdote about the Archduchess. It is absolutely possible that Franciscus Mercurius was in Innsbruck in 1650; however the identity of Archduchess remains an unsolved riddle. I have my thoughts, but look forward to reading your suggestions!